Above: Dementia Wellington’s support has been invaluable. Today my father turned 83. It’s a tough life that began during the Sino–Japanese War, with his father being away in the army, and his mother and grandmother were left to raise the family on their land in Taishan, China. In 1949, the Communists seized the property and the family had to start again, as refugees, in Hong Kong. Ever the entrepreneur, during the Vietnam War, Dad and his business partner, an US Army doctor by the name of Capt Dr Lawson McClung, set up a mail-order business for deployed troops. As I recall it, Lawson said that he would be able to secure jobs for my parents—my late mother was a nurse—at his stepfather’s hospitals in Tennessee. We either had a US green card, or one was merely procedural. My mother realized we had family in Aotearoa and I remember going with her to Connaught Tower, to the New Zealand High Commission. I didn’t know what it was for, but filling in the gaps it must have been to secure forms for immigration. As Plan Bs go, it was a pretty good one. In 1976 came another move as we headed to New Zealand, originally on holiday, given that my grandfather had taken ill whilst here. As we flew in to Wellington, Dad pointed at the houses below. ‘Those are the sorts of houses New Zealanders live in.’ I thought it was fascinating, that they didn’t live in apartment blocks. That first night here, on September 16, 1976, it was Dad who tucked me in, which at this point wasn’t typical: it was usually my grandmother who did this. He asked if I wanted to see the two Corgi toy cars that my grandmother had bought me prior to the trip, which I could have if I behaved myself on the flights. I did. He took them out of the luggage and I had a brief look at them. This was an unfamiliar place but it was just a holiday and things would be back to normal soon. It was during this holiday that word came that our immigration application had come through. My parents regarded our presence here as serendipitous. They neglected to tell their four-year-old son that plans had changed. For the first 18 years of my life, I regarded ‘the family’ as being my parents and my widowed maternal grandmother, who lived with us ever since I could remember—and I remember an awfully long time. We even had a photo taken around 1975–6 of the four of us, that I just remember represented everyone dearest to me. As ‘the family’ lost one member to a stroke brought on by Parkinson’s disease and complications from diabetes, and another to cancer, by 1994 it was just Dad and me. At the beginning of the 2010s, Dad had a bout of shingles. By 2014 he was forgetting individual words, and I insisted he get checked out for dementia. Around the time of his 80th birthday, in 2015, the diagnosis from the psychogeriatrician was formal, although he could still speak with some stuttering and one or two words unreachable by his brain. The CT scans showed a deterioration of the left side of his brain, his speech centre. Within half a year there would only be one or two words per sentence that were intelligible. The forms for an enduring power of attorney were drawn up as 2016 commenced. He was still managing, and he had his routines, but in mid-2018 we decided he should get some respite care. He wasn’t happy about this, and it took four hours of persuading, as well as a useful and staunch aunt, who got Dad to put on his shoes and head up with us to Ultimate Care Maupuia. We had thought the second visit in late July would be easier but it took 19 hours over two days, an experience which we do not want to repeat. Dad had lost the ability to empathize with us and was anxious and agitiated. While he insisted he could look after himself while home alone, there were signs over the last year that indicated he could not. He fell while having the ’flu in mid-2017 and Amanda and I came to a house with all its lights off. We had no idea how long he had been down. By 2018 he would cry if left home alone. Even at his most insistent that he could look after himself, we returned after the first day of trying to coax him to Maupuia to find that he had not eaten. The second day was when I called everyone I could think of to find a way to get to respite, since we weren’t going to be around to look after him. You name it, I called it, Age Concern aside. Dementia Wellington, the police, the rest home, Wellington Free Ambulance, Driving Miss Daisy, Care Coordination, Te Haika, and so on. I spoke to 11 people that day. Te Haika said that the issue wasn’t mental, but legal, which was about as useful as telling an American Democrat that Donald Trump was the Messiah. Driving Miss Daisy said that I wasn’t in their area but a colleague was, not that I ever heard back from that colleague. Dementia Wellington, the police, and Free Ambulance were brilliant, as was my lawyer, Richard Brandon of Brandons. Our GPs at Kilbirnie Medical Centre were also excellent. The up shot was that Free Ambulance could take Dad if the enduring power of attorney was enacted, and that would take a declaration of mental incapacity by the GP, which was duly written. He was also good enough to prescribe some medication to calm Dad down. However, because it wasn’t an emergency situation, there was no telling when Free Ambulance could come by. It did make me glad that they were one of the charities I gave to this year. However, you don’t ever imagine a situation where you effectively drug your Dad to be able to put his jacket on and take him to a rest home for respite care. I felt like part of the Mission: Impossible team, except the person being drugged wasn’t a Ruritanian dictator, but someone on the same side. When I say Mission: Impossible, I don’t mean that series of films with Tom Cruise, either. On September 16, 1976, you didn’t think that in 42 years’ time your Dad would have dementia and you’d need to break a promise you made years ago that you would never put him in a home. You also feel that that photo of ‘the family’ has been decimated, that you’re all alone because the last adult in there isn’t around any more for you to bounce ideas off and to have a decent conversation with. I realize I hadn’t been able to do any of that with Dad for years but it feels that much more painful knowing he can’t live in a place he calls home presently. And you also realize that as a virtually full-time caregiver who has cooked for him for years—and now you know why I didn’t reenter politics in 2016—that his condition really just crept up on you to a point where what you thought was normal was, in fact, not normal at all. You also realize that the only other time he was compelled to leave his home without his full volition was 1949, by a régime he had very little time for through most of his lifetime. You don’t expect to be the next person to have to do that to him, and there’s a tremendous amount of guilt that comes with that. Earlier this week, our GP reissued his letter in ‘Form 5’ (prescribed under the Protection of Personal and Property Rights Act 1988), which I drafted, since these procedures aren’t altogether clear. It makes you wonder how people without law degrees might cope. Tomorrow I will meet with Care Coordination and see if Dad can be reassessed based on his current condition. He was only very recently assessed as not needing long-term care so it will be interesting to see if they accept that he has deteriorated to this extent. I’m not a Mystic Meg who can make a prediction on this. The rapidity of Dad’s change—one which he himself noticed, as years ago he would complain that his ‘brain felt different today compared to yesterday’—has been a surprise to us, although mostly he is happy at Maupuia and interacts positively with the staff. It’s not all smooth sailing and there are days he wonders when he can come home. And I find some solace in that his father, and his mother-in-law, wound up in care for less. My grandfather had PTSD from the war and was unable to cook for himself, though even at the end he was bilingual (being educated in the US) and had successfully quit smoking after 70 years. My grandmother needed care because of her insulin injections but was also mentally fit. But part of me expected that I’d see it through with Dad to the end, that these rest homes were some western thing that separated families, and here is part of that immigrant experience. And that’s what we did as ‘the family’. We fought our own battles. Dad was once a helluva correspondent whose letters used words like proffer and the trinity of ult., prox. and inst., and plenty of officials got the sharp end of his writing. When Mum got cancer we brought in our own natural medication because westerners couldn’t fathom that the same stuff cleared my grandfather’s liver cancer in 1976 and healed several other members in the whānau. Dad sacrificed everything to try to save Mum and that was the closest example I had of what you’d do for someone you love. When you’re deep in the situation, rationality goes out the window and you’re on autopilot—and often it takes serious situations, like two days’ angst and stress of trying to get someone into respite care, to make you think that staying at home isn’t the best for someone who did, even though he won’t admit it, thrive under rest home care. We know that if we left it even later, it would be even tougher to get Dad into care and he would resist his new surroundings more. Today’s lunch at Maupuia was curried beef on rice in recognition of Indian Independence Day, a much nicer meal than what I might have made for Dad. He has staff to hug and laugh with even if I have no idea where he’s putting his dirty undies. And while aphasia means he hasn’t made any new friends yet, I have faith that he’ll do well given the circumstances. It’s those circumstances that mean the situation we find ourselves in, with Dad at the home, is one which we’ll roll with, because, like 1949 and 1976, forces outside our control are at play. I’d love to make his Alzheimer’s go away given that I already lost one parent prematurely. My mind goes to a close friend who recently lost her mother, and her father was killed in a car crash around the time my Mum died. Basically: not all of us are lucky enough to have both our parents peacefully go in their sleep. Many of us are put through a trial. And there’s a real reason some of us have been hashtagging #FuckAlzheimers on Twitter, if out of sheer frustration. For those who have made it this far, here are the points I want you to take away. • Immediately upon finding out your parent has dementia, get your enduring power of attorney sorted out, for both property and personal care. • Dementia Wellington is an excellent organization so get yourself along to the carer support groups, second Monday of every month. Dementia New Zealand can’t help at this level. • Care Coordination has been very helpful and their referral to Dementia Wellington proved more effective than phoning—however, I should note that the organization changed for the better between Dad’s original diagnosis in 2015 and how they are today. • You do need ‘Form 5’ from your GP or someone in a position to assess your parent’s mental capacity to kick off the enduring power of attorney. • It’s OK to cry, feel emotionally drained and ask your friends for support. It’s your parent. You expected to look after them and sometimes you need to let others do this for everyone’s good. It doesn’t mean you love your parent any less. It also doesn’t mean you are placing yourself or your partner above him. It just means you are finding the best solution all round. Dad is still “there”, and he recognizes us, even if he doesn’t really know what day it is, can’t really cook for himself, and doesn’t fully understand consequences any more. I’m glad I spend parts of every day with him while I’m in Wellington. And while this wasn’t the 83rd birthday I foresaw at the beginning of the year, he is in a safe, caring environment. I hope the best decision is made for him and for all of us. It’s hard to believe but Autocade is four years old this month. In fact, its actual birthday was some time last week. It’s been busy at work, so Autocade has received a little less attention in the last 12 months, though things were buoyed when Keith Adams (of AROnline) added a whole bunch of models. It’s also about to cross the two million-page view barrier. When I look back at the previous year, we’ve added a lot of Chinese models, for the simple reason that China is where most of the new-model activity is these days. There are a lot of translation issues, but Autocade may be one of the only references in English to the more obscure vehicles coming out from behind the Bamboo Curtain. Still, there are some oddities from other countries that have appeared over the last 12 months, including a Ford made by Chrysler, and a Hillman Hunter with a Peugeot body (kind of). Here they are, for your entertainment. Changcheng Phenom (長城 凌傲/长城 凌傲). 2010 to date (prod. unknown). 5-door sedan. F/F, 1298, 1497 cm³ (4 cyl. DOHC). Supermini that looked to all the world like a Toyota Vitz (P90) with an ugly grille, with the same wheelbase. Essentially a clone, though interior changed over Toyota version. 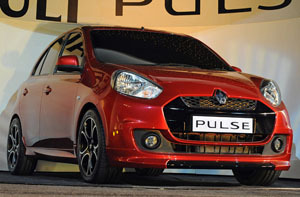 Even Chinese media noted the similarity to the Vitz at the rear, but did not find the grille distasteful. Engines of Changcheng’s own design, with decent performance from the 1·5. Chrysler GTX. 1968–9 (prod. unknown). 4-door sedan. F/R, 2414 cm³ (V8 OHV). Performance version of Esplanada, with go-faster stripes, apeing US imagery. Filled the gap of the earlier Rallye and Tufao in the Chambord series, which had been missing since the Regente–Esplanada took over in 1966. Offered only till the platform was finally retired in favour of the A-body cars from the US. Dongfeng (东风/東風) CA71. 1958 (prod. 30). 4-door sedan. F/R, 2000 cm³ approx. (4 cyl. OHV). 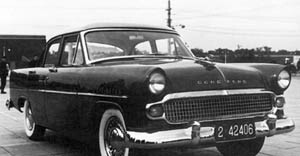 First passenger car built by First Automobile Works of China, with bodyshell and interior apeing Simca Vedette (1954–7) and 70 bhp OHV engine based around a Mercedes-Benz 190 unit and chassis. Self-designed three-speed manual transmission. Laboriously built, as China lacked the facilities, and bodies were not cast but beaten to the right shape. Initially badged with Latin letters before Chinese ones replaced them on the order of the Central Committee. Used for propaganda, and Mao Tse Tung even rode in one around launch time, but faded into obscurity after 30 examples. Dongfeng Fengsheng (東風風神/东风风神) A60. 2011 to date (prod. unknown). 4-door sedan. F/F, 1997 cm³ (4 cyl. DOHC). Uglified version of Nissan Bluebird Sylphy (G11) on a Renault Mégane II platform, developed for Chinese market by Dongfeng. 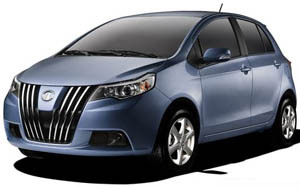 Basically the Sylphy with the Dongfeng grille grafted on it, with production commencing December 2011 for 2012 sale. Emme Lotus 420/Emme Lotus 422/Emme Lotus 422T. 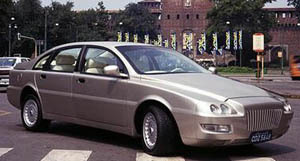 1997–9 (prod. approx. 12–15). 4-door sedan. F/F, 1973, 2174 cm³ (4 cyl. DOHC). Very obscure Brazilian luxury car, built on Lotus principles of lightness, with early Lotus Esprit engines. T model denoted turbocharging. Claimed 87 per cent of components locally sourced. Manufacturing techniques with advanced materials not particularly refined, leading to questionable build quality. Little known about the vehicle, but it faded without trace after currency changes in the late 1990s. Hawtai (華泰/华泰) B11. 2010 to date (prod. unknown). 4-door sedan. F/F, 1796 cm³ petrol, 1991 cm³ diesel (4 cyl. DOHC). 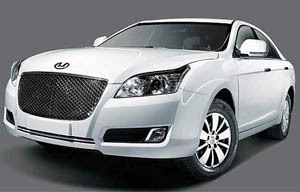 Ugly first attempt by former Hyundai affiliate at its own sedan, using Roewe 550 engine. Media centre with sat-nav and entertainment perhaps one of its few stand-outs. Petrol model first off the line in late 2010; diesel followed soon after. Panther De Ville. 1974–85 (prod. 60 approx.). 4-door saloon, 2-door coupé, 2-door convertible, 6-door limousine. F/R, 4235 cm³ (6 cyl. DOHC), 5343 cm³ (V12 OHC). Panther creates a new flagship to sit about its original J72 model, based around Jaguar XJ mechanicals. A pastiche of the Bugatti Royale, creator and “car couturier” Robert Jankel targeted his De Ville at the nouveaux riches, and they found homes with the likes of Elton John. Lavish, though never as quick as the Jaguars due to the weight and poor aerodynamics. Humble bits included BMC “Landcrab” doors. Cars were custom-made and De Ville was usually the most expensive car on the UK price lists. Few redeeming features other than exclusivity; caught on to the 1930s retro craze that seemed to emerge in the 1970s. 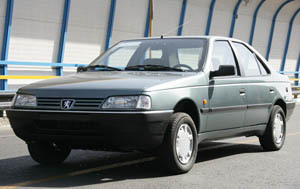 Peugeot RD 1600/Peugeot Roa. 2006 to date (prod. unknown). 4-door saloon. F/R, 1599, 1696 cm³ petrol, 1599 cm³ CNG (4 cyl. OHV). The Rootes Arrow lives on, but with a Peugeot 405 clone bodyshell. Basic model offered by IKCO of Iran, blending the platform of the obsolete rear-wheel-drive Paykan with a more modern interior and exterior. 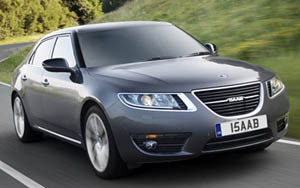 Initially offered with 1·6 petrol and CNG engines; G2 model from 2010 has 1·7 unit. Renault Pulse. 2011 to date (prod. unknown). 5-door sedan. F/F, 1461 cm³ diesel (4 cyl. OHC). Nissan March (K13) with a nose job, aiming at the premium compact sector in India, expecting to form the bulk of the company’s sales there. Designed by Renault staff in Mumbai. Largely identical under the skin, with diesel at launch, petrol models following later. Siam Di Tella 1500. 1959–66 (prod. 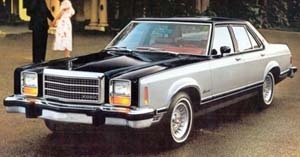 45,785 sedan, 1,915 Traveller). 4-door sedan, 5-door wagon. F/R, 1489 cm³ (4 cyl. OHV). Licensed Argentinian version of Riley 4/68 but with Traveller wagon (from 1963) adapted from Morris Oxford V Traveller. Very popular among taxi companies, especially as twin-carb OHV was willing, although compression ratio had been reduced to 7·2:1, affecting power (55 hp instead of 68 hp). Modified suspension to cope with Argentinian roads. 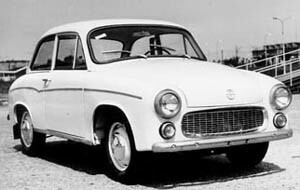 From 1966, Industrias Kaiser Argentina (IKA) took over, modifying and renaming the cars. Pick-up (called Argenta) also developed, with at least 11,000 manufactured. Syrena 105. 1972–83 (prod. 521,311). 2-door saloon. F/F, 842 cm³ (3 cyl. 2-str.). Syrena switches factories to FSM at Bielsko-Biała, though it was briefly at FSO in 1972 before the company switched to producing only its Fiat-licensed models. Suicide doors now replaced with conventional ones hinged at the front. Lux from 1974, but with the same 29 kW engine. I bumped into Chris Wilson, who edited NZT&E’s excellent periodical Bright some years ago, recently. Sadly, the government pulled the plug on Bright, though as I understand it, some colleagues at In Business wound up taking over the mailing list. But it’s wonderful to see the high standards of excellence that Chris was known for continue. He has served as managing editor of the New Zealand China Trade Guide, published by CommStrat. It’s a hefty 148 pp. bilingual guide with overviews, the usual well meaning quotes from government ofﬁcials, and, importantly, case studies and sector-by-sector analyses. The publication, in full colour and retailing for under NZ$40, reads in an accessible style—forget those boring government documents that ape textbooks. It should help businesses explore opportunities in China—while also serving as a reminder that New Zealand is a very innovative nation and Kiwis set the bar very high. It has received an endorsement from the New Zealand–China Trade Association. Chris should be justiﬁably proud of his latest work and it’s a must for dealing with what has become New Zealand’s second biggest market. I said it in 2009, and apparently, so did a diplomat whose note was leaked via Wikileaks: BYD might not stand scrutiny in a non-Chinese court over its vehicles. When I raised it, a few BYD fans (agents?) came commenting, trying to pick holes in my post, though they were unable to deny that the company had been unethical. If someone needs to come and attack without substance, then it’s almost always a guilty conscience that motivates them. If anything, they conﬁrmed every statement I made. One Honda source, who spoke on condition of anonymity, cited BYD’s F3 model in particular as a known copy with Toyota Corolla and Honda Fit attributes. It’s interesting that this has only recently come to light at Reuter, when the story was very obvious to most of us motorheads two years ago. Most of us know that copying goes on and China, Red or otherwise, is certainly not the only guilty party. There’s some hidden story about the original Nissan March and the Fiat Uno, for example, but usually, when these things are done, the designers do enough to get around an expert’s judgement, just in case one gets called up in court. BYD, however, hasn’t really done enough to cover its tracks. It’s one thing to be inspired, it’s another to leave clues everywhere over the ﬁnished product. Before 2009, I honestly thought BYD was a Toyota licensee, and while it would be very difﬁcult (as the Reuter article points out) to prove copying or copyright infringement on a component-by-component basis (as so many parts are commodities), it’s actually not as difﬁcult to examine the overall bodyshells and for a plaintiff to ﬁnd evidence of objective similarity. Things might be a millimetre out here and there, but the argument would be familiar to anyone in the type design industry: Megaron is still Helvetica. Arguably, some of the technology is BYD’s (and the Reuter article has something to say about its efﬁcacy), but there’ll need to be some investment in the look of the cars if the company doesn’t want to get an injunction ﬁled against it by some Japanese automakers, as I said in 2009. It’s not as though the company is incapable of producing cars inspired by other manufacturers but with enough of the details hidden—some of BYD’s niche models could pass muster in a non-Chinese court. The BYD e6, the electric car on which a lot of the company’s hopes hinge, actually looks quite smart. However, the mainstream models, the ones in which Warren Buffett has placed so much faith with his BYD investment, don’t. There are so many Chinese car manufacturers that deserve to do well, because they’ve played the game properly. While their conduct during the last days of MG Rover in the UK left something to be desired, SAIC is going about its expansion largely the right way. Chery has been commissioning some wonderful work from Italy. Geely and Riich models might look derivative, but there’s no doubt that it’s their own work. I wouldn’t buy a Lifan, but I’d talk them up before I’d talk up BYD. BYD’s advantage is in its electric models, if they ever appear. The Reuter article leaves the reader in little doubt that the technology there might not be all that it is cracked up to be, either. The irony is I would really love the idea of all-electric cars to succeed and be affordable. If they came from China, I would have no objection, because it would mean that the world’s fastest-growing car-buying nation might be able to arrest its rise in carbon dioxide emissions. Even the Politburo’s subsidy for electric cars is a sensible move. But there is so much talent in a country of over a billion that copying, as the Chinese car industry moves into a more mature phase, does it no credit—and that could prove the undoing of BYD unless it sets its sights only on exporting the e6 and not the existing F-cars or the G3. Volvo has announced that it will build a plant in China, and seeks approval for a second, in what it calls its second home market. It was inevitable, though for the long-term survival of the brand, it’s not a bad idea. Through Geely’s acquisition, it can potentially leapfrog other foreign car brands inside China by having more than a domestic partner: a domestic owner. There won’t be much toing and froing as Geely can call the shots with Communist Party authorities. The company already has a technology centre in Shanghai to deal with design, purchasing and manufacturing decisions. The new Chengdu plant, says Volvo, will only build Volvo cars—there will be no Geelys going through there. Volvo also says it will not affect jobs in Europe, which can be believed at this stage: the plant should be sufﬁcient to deal with growth in China and the eastern hemisphere, where Volvo could be a lot stronger. While Volvophiles won’t be upset about most of the developments above, there will be one that will concern them. The company says that Volvo Car China’s new-product development will be done in Shanghai, not Göteborg. Göteborg will take the lead on hybrid and electric cars globally. Given the volumes involved—Volvo is targeting 200,000 cars per annum by 2015 in China—I’m not sure if it means that China will get its own range of cars. The likely scenario is that there will be a single, global range at these numbers. So how will the balance of global Volvo NPD be shared between Göteborg and Shanghai? Volvo suggests that HQ remains in Sweden on one hand, but, according to Freeman Shen, senior vice-president and chairman of Volvo Cars China Operations, says, ‘The Volvo Car China Technology Centre in Shanghai will develop into a complete product development organization on an international level. It will have the competence and capacity to work together with the HQ in Sweden, participating in Volvo Car Corporation’s work process for developing entirely new models,’ says Freeman Shen. I’m not criticizing Geely’s competences because if you look at its latest models, the company has certainly come a long way. Chinese designers, if nothing else, are fast learners, and knock-offs are becoming things of the past if 2010’s new models are anything to go by. And as a Swede is heading over to China to help set up the plant, one envisages that similar training in the Volvo design and creative process will be in the ofﬁng. Otherwise, there won’t be much separating Volvos from other car lines with the exception of a grille with a diagonal bar. But the press conference still leaves questions unanswered about how the NPD process will work. Nevertheless, allowing Volvo to pursue innovation is good news. Ford permitted it to happen but so much platform development was done elsewhere. Volvo remained in charge of global safety for Ford models, and gave the old S80 platform to a variety of cars, including the current and previous Taurus. The difference is, the parent company’s platforms weren’t half bad to begin with. I’m not so sure about Geely’s. I do, however, like the idea of an innovative, world-ﬁrst Volvo that can get its new developments in safety and alternative energies out to the market before the competition. No more will the ﬁrsts be moderated by Dearborn. Innovation has not deserted the company—it has announced a V60 diesel plug-in hybrid—but we will not know what the new Volvo will look like till a model, with no Ford heritage, surfaces in a few years. That will be an interesting development. That doesn’t really settle it though. I have some concerns with Mr Li’s market positioning, because there are Swedes, indeed many Europeans, who don’t see Volvo as a luxury brand. Thanks to Ford, Volvo was edged upmarket to avoid competition with its own models—but it means its market share at home has been severely reduced. Earlier this century, most Swedish taxicabs were Volvos—today Mercedes-Benz and Toyota serve a proportion of the local market as Volvo could not offer the smaller models it once did. And if its home market share continues to decline, never mind how China goes: Volvo will be increasingly inaccessible to ﬁrst-time car buyers in Sweden. Its need, then, to retain brand values might be weakened. Speaking hypothetically, if these world-ﬁrst innovations are created merely for luxury models, then how long will they take to get to the everyday market? I remember an era when Volvo didn’t skimp on safety and innovations for even its lowliest models. And Volvo-as-luxury seems to ﬂy in the face of that. The reality is, if Volvo is going to ﬁnd more volume in the orient, then the luxury positioning will be more dominant. It’s going to be easy to foresee Volvos going all over the east from the Chinese plant, to allow for greater proﬁts. Renault and Peugeot are sourcing from plants in Korea and Malaysia to serve the eastern hemisphere, and as far aﬁeld as eastern Europe, at more reasonable prices. It would not be a bad idea for Volvo to follow suit: it’s not in the hallowed realms of BMW, and its pricing needs to reﬂect that. The imagery tells a good deal of the story already: the Austin 7, the Morris Minor 1000, the ADO 16, the MG ZR Mk II, the MG 3 SW, and the latest MG 3. The text refers to the 80 years of expertise that MG has had in small cars (more if you begin counting the other parts of BMC), how they are beloved of the Royal Family, how such old cars are kept by their fans in Britain, and, after the company created the Mini (a particularly cheeky reference to either the 1959 or the 2000 Mini—it’s intentionally ambiguous), it’s moved on to China. My Mandarin is non-existent but I’m guessing that the names referred to in the text are Pinyin transliterations of Morris and Cecil Kimber. Never mind that there are probably more Britons buying new German cars these days, and that BMW might not be that happy to see MG claim that it created the Mini. Technically, there is no lying here, and gives MG a far better halo effect among Chinese buyers than it ever had with British ones in its waning days under UK ownership. It also helps that the mainstream (state-run) media in Red China don’t go around rubbishing MG and Roewe like the British media were so keen to do with MG and Rover. Early indications from Chinese websites such as the China Car Times is that the MG 3’s interior quality leaves something to be desired, while MG fans at Keith Adams’s AROnline site are generally negative about the styling. This is not the MG that traditionalists know, with the TF, A or B, but then, the latest MG 3 is probably on a par with the MG Metro of the 1980s as a warmed-over hatch. The MG 6, at least, doesn’t look like the Roewe 550 on which it is based—and that’s a step up from the MG Maestro of the same decade. This promotional message might not work perfectly in markets where MG can’t be readily mixed with Austin and Morris, but as a marketing exercise, the copy and the imagery give MG with a sense of desirability (Chinese buyers might be shifting to favouring local brands, but there’s still a bit of snobbery about foreign ones), and of proven expertise (which few of its rivals can claim). It’s the sort of sophistication that few would give credit to a Chinese automaker for having. However, it shows that imagination and humour are not lacking in Shanghai—and even if you don’t like the look of the 2011 MG 3, it’s at least original, unlike the Toyota clones coming from BYD. At this rate, the occident should be worried about the rise of the Chinese motor industry, because even the marketing is getting cleverer. It shows it can be possible. In the past I’ve lamented the decline of each medium as it’s spoiled by spam or splogs. YouTube has been ruined by extremist commenters. In most cases, these people hide behind the veil of anonymity. The city blog I proposed during my campaign would have required registration as well. The logistics were another matter but Baidu shows it can be done—and a more civilized discussion is just what we need to make some real progress in society. If dialogue and engagement solve problems, then the medium for both must be where someone wants to go—and not see a whole bunch of swearing going on. As I wrote some years back, what I miss about the internet, and this may be rose-coloured glasses, was the collegial feeling that was there in the early days. In the 1990s, we naïvely put our details into online email directories before we ﬁgured out that spammers could harvest them. But, importantly, we got quite a few things done. Some of my closest allies in business can be traced back to those early days, before we had to cut through more clutter to ﬁnd good, trustworthy people. Providing a safe forum where the veil of anonymity is gone—where John Gabriel’s Greater Internet F***wad Theory does not apply—is perhaps one of the best things that can be done for so many services. A Small World is one where there’s some degree of safety and security; LinkedIn, by its nature, continues to feel collegial. Since we aren’t talking about sensitive information here, where aliases and anonymity might be key, an online John Hancock can be a good thing. The bigger picture is that if China is encouraging this sort of dialogue, I will have to say: watch out. And I did say four years ago that, with Google’s willingness to engage in self-censorship when it entered the Middle Kingdom in 2006, the Chinese people would only be more loyal to Baidu et al in the long term. That inﬂuence might yet grow beyond China’s borders. A crowd, mostly of schoolchildren had gathered round to watch these two young women at it outside the local Pricebusters. Or, should I say, there was one abuser and one standing there and taking it. Seeing as neither was armed (I may be stupid, but not that stupid), I stood between them and asked them to stop: that the OAPs walking along minding their own business don’t have to listen to their sort of language. Fists ﬂew, hair was pulled, and I got a little scrape where my watch was and my glasses were knocked off. It was then that various adults—I assume the female staff of the Pricebusters store—restrained the two. I advised the store that they could call the police now. Dad had come out by then and I suggested we ﬁnish the transaction inside the bank. And he didn’t need to see his son lose a ﬁght to two women. These Streets of San Kilbirnie are tough and even Karl Malden would be surprised. Maybe I was the only adult around over several minutes, but I’m surprised that no one else helped out. It reminds me of two other incidents in the last few years where I played “ﬁrst responder” (with a much larger friend assisting!) to a homeless man getting bullied and to a teen who had fallen off her bike. This isn’t about being intolerant of bad language. Most of this junk is on telly now after a certain hour. It’s the idea, which we’ve chatted about at the Vista Group luncheons with Jim and Natalie, that once we tolerate one thing, a worse thing will emerge. Usually this comes up when we discuss public drunkenness, and how, over the last generation, less and less acceptable behaviour becomes the norm. The fear that getting involved would drag one into a court case as a witness—that is baseless, too. When the police came (and quite quickly, too), I had ﬁnished at the bank. I asked one constable if he needed me to be a witness, and he said that he already had a statement from someone else. So: I tried to do a good deed, and I didn’t get dragged into a prolonged assault case. It’s easier than we think. And maybe I did something for the little guy, to draw the line at something that shouldn’t be acceptable in what is usually a very pleasant neighbourhood.